What should I do if the waiver system goes down? If it’s on our side, we have 24 hour monitoring that will alert us to the issue and will be working to fix it as quickly as possible. However, we have 99.9% uptime, so chances are the issue is your connectivity, in which case you will need to work with your internet provider. In the meantime, you should always have paper waivers available just in case. You should also have an alternate network connection such as a cell phone with a Wi-Fi hotspot that you can run your network through until it gets back online. How do I disable the Knowledge Base from appearing in RGP? Does RGP have a free version? Does RGP Process Credit Cards? Are there best practices for using RGP in the UK? What does Error HY000--Can't connect mySQL server (10060) mean? 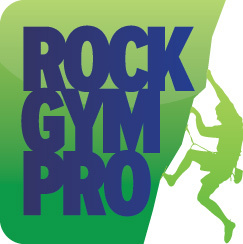 What should I do if I can’t start Rock Gym Pro or MySQL is unreachable? What should I do if my server has crashed? What should I do if my credit card processing goes down?